Did you get a wad of gum on your pants when you sat on a chair? If yes, then you should never try to rub it trying to scrape it because it can stretch more and will stick to your hands also. You might also love chewing gum because it’s fun but if you got it your on favorite clothes, it can be a really difficult situation for you. Whether you have got gum on your clothes or your kids’ have got it on their clothes, now you can easily remove gum without harming your clothes. 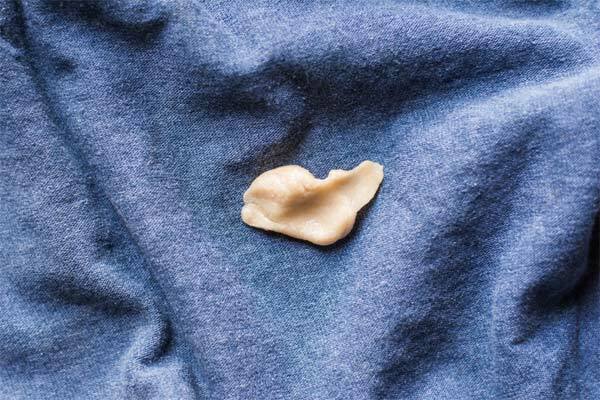 What are some basic ways to remove gum out of your clothes? • You will need an ice cube and then you can put it in the place where the gum is. Within five minutes, gum would become hard and then you can use a knife to remove it from the fabric. Make sure that you don’t use a sharp knife otherwise you want to end up cutting the fabric also. After removing the gum, you just need to wash the fabric with detergent. If you don’t want to get into much hassle, then you can directly put your clothes in the freezer. Make sure that the gum faces upside so that it would freeze inside within an hour. After it gets frozen, you can remove it with a blunt knife. • If you think that gum can be removed from clothes just by using ice or cold items, then you are wrong because hot iron can also help you to remove gum from fabric. You can use a hot iron on the back of the garment. Make sure that you don’t keep moving the iron constantly. The gum needs to be heated. Remember to keep the iron warm and not too hot otherwise fabric of your cloth can get burnt. • Alcohol can also help you to remove the gum from your clothes, you just need to apply alcohol on the fabric and then you can use duct tape in that area. Polymers of chewing will repel water and this would help you to remove gum when you will use alcohol. The duct tape will be used to remove gum from the clothes. • Lemon juice can also help you to remove gum as it is a powerful ingredient which can make the polymer bond loose. After applying lemon, you can just scrape off the gum from the fabric. Similarly, vinegar can be also useful for removing gum off your clothes. So, these are some hacks with which you can easily remove gum from your clothes. You can also share these ideas with your friends so that no one has to throw clothes just because the gum has stuck on it. Without paying any money, you can remove the gum from your clothes within a few minutes.